Want to get behind the wheel of the staple in the off-roading game? 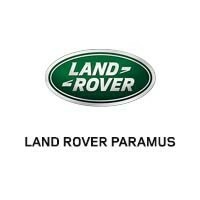 Taking advantage of the great deals on the new Land Rover Range Rover for sale at Land Rover Paramus will allow you to do just that. And despite this model’s off-road prowess, Englewood drivers will still have access to ultimate luxury. Find your ideal model, and then head to the dealership to see how the new Range Rover compares to the competition today! Any questions? Reach out to us! We are just a short drive from Saddle River. We can also help you compare models, like the Range Rover vs. the Mercedes-Benz GLS or the Range Rover vs. Porsche Cayenne!